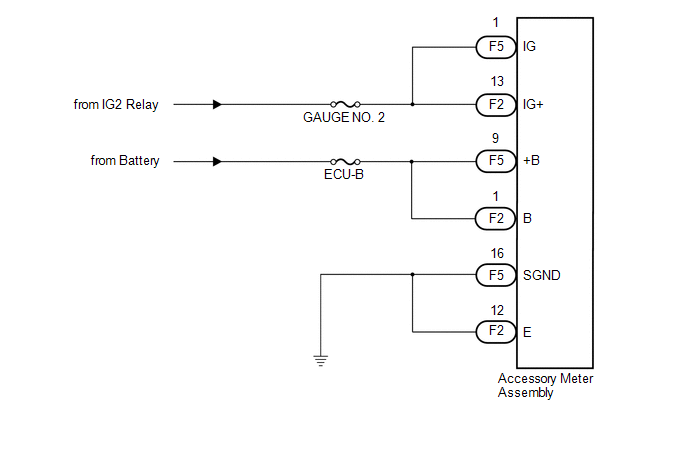 (a) This circuit is the power source circuit for the accessory meter assembly. 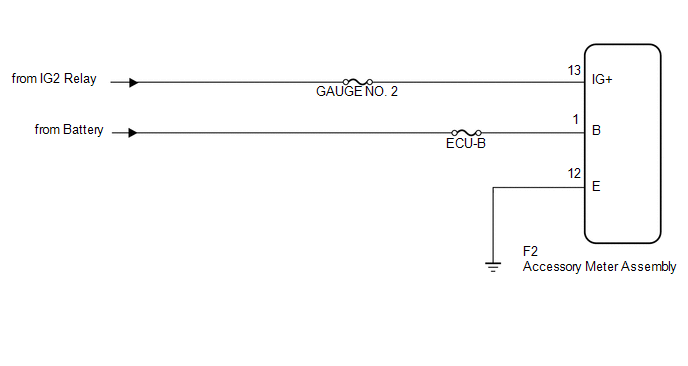 This circuit provides two types of power sources; one is a constant power source mainly used as a backup power source, and the other is a power source mainly used for signal transmission. If the accessory meter assembly displays "1:00" when the ignition switch is turned off, then to ON again, the B terminal has a malfunction. The maximum clock assembly margin of error is -4 to 4 seconds per day when the temperature is between -20°C (-4°F) and 60°C (140°F). If the accessory meter assembly displays "1:00" when the ignition switch is turned off, then to ON again, the +B terminal has a malfunction. 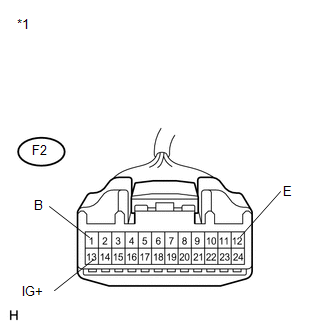 (1) Disconnect the F2 connector. 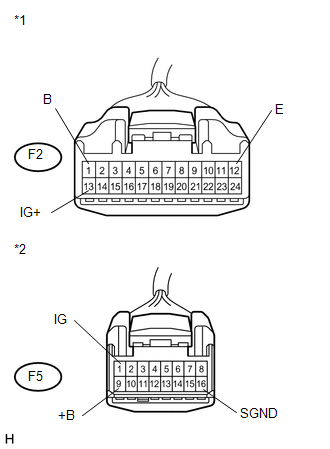 (1) Disconnect the F2 and F5 connectors.